In 1997, the American Diabetes Association decided to change the cut-points for glucose defining whether an individual had diabetes or not. This event triggered the development of an international research network within diabetes epidemiology - the Diabetes Epidemiology: Collaborative analysis of Diagnostic criteria in Europe (DECODE) and Asia (DECODA). Although the primary aim was to evaluate the impact of the revised diagnostic criteria from a public health perspective, this initiative proved to be an excellent platform for studies focusing on understanding the rationale for ethnic variability in susceptibility to diabetes and its complications. Such an insight can only be achieved through access to population-based data from different regions of the world. The DECODE and DECODA studies in combination with other initiatives like DETECT-2 have taught us, that well established risk factors for diabetes as obesity and age have very different impact in different populations. In a scientific community, dominated by data from Europe and North-America, our knowledge regarding risk factors and high risk groups stems from a small minority of the population of the world. Had we used this knowledge to develop prevention strategies in Asia and Africa, then our efforts would have had little effect. DECODE and DECODA taught us that although risk-factors may be the same, the cut-point for being at risk varies tremendously between populations. The International Diabetes Federation has taken the consequence of this, and developed region-specific cut-points for at-risk levels of obesity. The present eBook is written by a group that has worked extensively on the DECODE and DECODA data. They have highlighted the importance of the variability within the species of Homo Sapiens when it comes to physiological responses to the external and internal environment. This eBook reviews the epidemiology of diabetes in this specific context, which has proven to be so helpful in diabetes and obesity epidemiology. It is my hope that in the future we will see similar trends in studies of human physiology and clinical medicine. Meanwhile, at least we can say that epidemiology showed us the way. The idea of the eBook took shape in the editor’s mind in 2010 when several co-authors of the eBook completed a series of doctorial theses covering a wide range of research topics on epidemiology of type 2 diabetes. Each of the theses comprises not only a comprehensive literature review and meta-analysis but also the author’s own research results, which are mainly based on a well recognized large international collaborative study in Europe and Asia---the Diabetes Epidemiology: Collaborative analysis of Diagnostic criteria in Europe (DECODE) and Asia (DECODA) study. The authors, each at the forefront of his/her research field, have updated and dedicated their works to the eBook with aims to share their research outcomes with more people who are interested in doing epidemiological researches on diabetes, and to help the young researchers to understand easily the progress and the significant development in the relevant fields during the past decades. 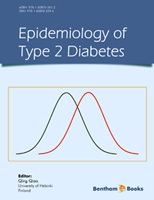 This eBook consisting of eight chapters covers the frontiers of works on evolution of diagnostic criteria, prevalence of diabetes, screening programs and tools for early detection of type 2 diabetes, developing and evaluation of risk assessment algorithms, obesity and diabetes, anthropometric measures of obesity and its validity in predicting diabetes, comparison between central and general obesity, lipid levels in relation to glucose tolerance status, uric acid and diabetes, relationship of cancer with diabetes and non-diabetic hyperglycemia, cardiovascular disease in relation to diabetes and non-diabetic glycemic levels including outcomes from the recent randomized controlled clinical trials that have investigated the effect of intensive glycemic control on cardiovascular disease outcomes. The ethnic differences in the association of diabetes with obesity, dyslipidemia and other metabolic disorders have been extensively investigated in the DECODE/DECODA study and the interesting findings are included in this eBook, which are the most important original works of the authors.